“Yojimbo” by Akira Kurosawa can stylistically be considered as a “study” for his “Sanjuro” made (in) a year after “Yojimbo” (with the same main character played by (the) [a] unique [actor] in the history of cinema (actor) Toshiro Mifune). But thematically it is quite [an] independent film that concentrates on [the] specificity of economic fight between rivaling groups of entrepreneurs with taste for semi-legal or just [outright] illegal strategies of self-enrichment (the types we [are] today in [the] 21st century [so familiar with and] know only too well). Kurosawa uses a tiny (Japanese) provincial city [in Japan] of 19th century as a setting for metaphorizing of up-to-date behavior of international cast of predatory money-makers [like our own day global corporate CEOs]. 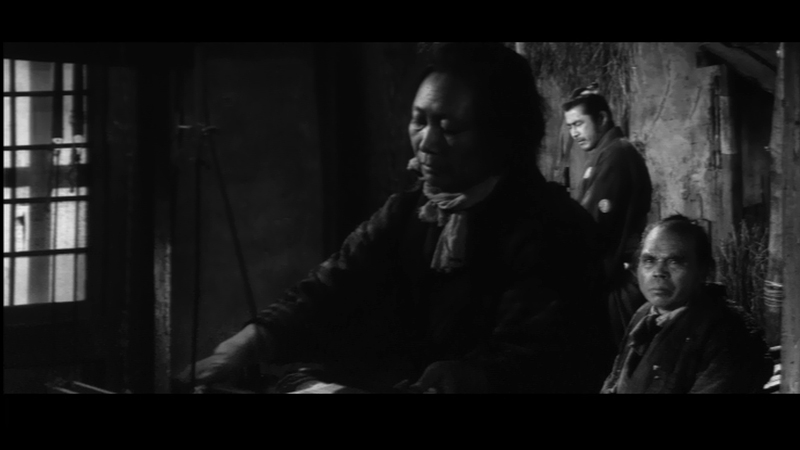 Like we [are] today (after invented wars and financial collapses [and whole host of other disasters]) Kurosawa in “Yojimbo” thinks what to do in a situation when (a) pathological greed of [the] financial decision-makers endangers the life of (human) population[s]. Again, [as] (like) we [are] today, Kurosawa was disappointed [with the] (in) traditional idea of “revolutionary transformation” of a corrupt society – the experiencee of Soviet Union and Eastern Europe is enough to discourage us from this way. 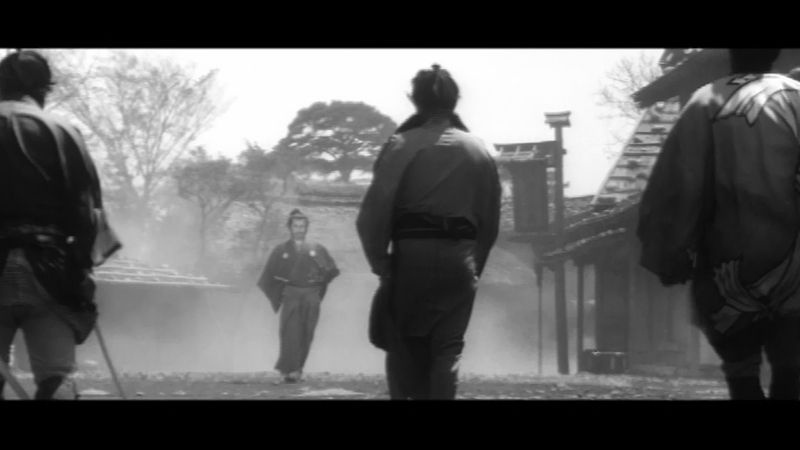 Instead, Kurosawa offers in his too films Sanjuro as, in essence, a role model for our hope. Instead of “revolution” as a strategy for social-psychological transformation of life Kurosawa offers “non-participation”. Sanjuro is [an] outsider by moral reasons. It is this status (under-status[ed]) “of not belonging” [that] colors his personality as [a] moral alternative to those who while being horrified by the cruelty of the system are doomed to participate in its everyday rituals because they share many of its conventions and prejudices. The intensity of “Yojimbo’s” critical energies joins the elaborateness of its analysis of today’s formal democracy’s vices and sins hidden under the beautiful [Universalist declaration of enlightenment and] make-up[s] of its proudly humane ideological pronouncements. 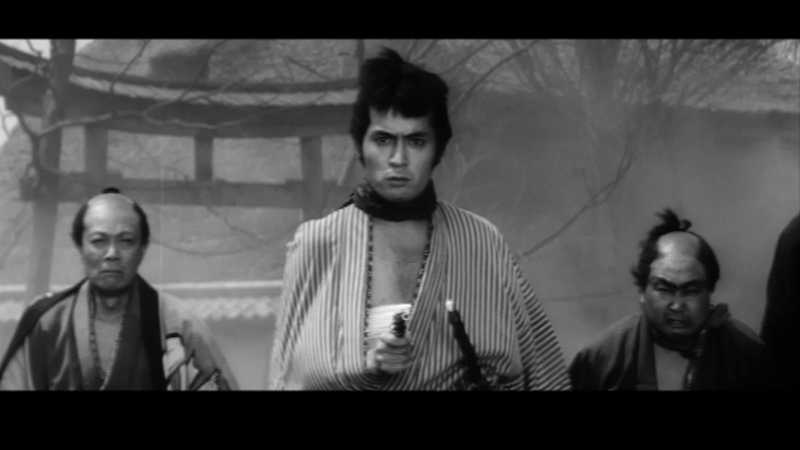 “Yojimbo” is full of wit and humor, but also of human emotions, suffering and joy, and real problems. The 1st post by victor is a defect. I reprinting the correct one. Sorry. “Yojimbo” by Akira Kurosawa can stylistically be considered as a “study” for his “Sanjuro” made a year after “Yojimbo” (with the same main character played by a unique actor in the history of cinema Toshiro Mifune). But thematically it is quite an independent film that concentrates on the specificity economically determined fight between rivaling groups of entrepreneurs with taste for semi-legal or just outright illegal strategies of self-enrichment (the types we are today in the 21st century know only too well). Kurosawa uses a tiny provincial city in Japan of 19th century as a setting for metaphorizing up-to-date behavior of international cast of predatory money-makers. Like we today (after invented wars and financial collapses) Kurosawa in “Yojimbo” thinks what to do in a situation when pathological greed of the financial decision-makers endangers the life of human populations. Again, as we are today, Kurosawa was disappointed with the traditional idea of “revolutionary transformation” of a corrupt society – the experience of Soviet Union and Eastern Europe is enough to discourage us from this way. 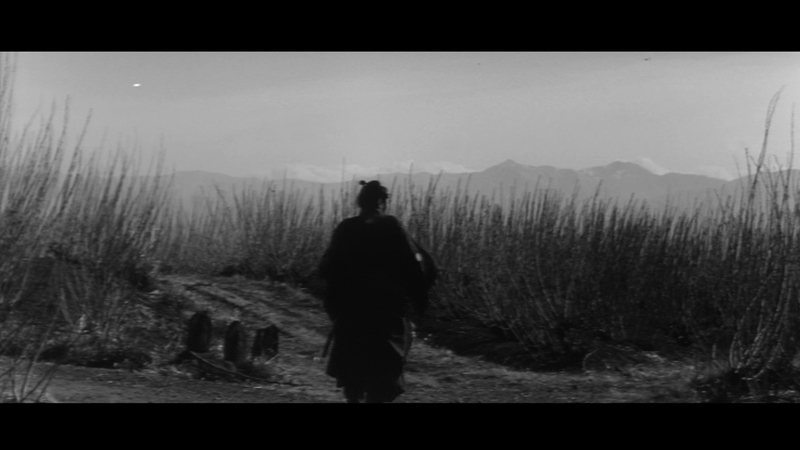 Instead, Kurosawa offers in his two films Sanjuro as, in essence, a role model for our hope. Instead of “revolution” as a strategy for social-psychological transformation of life Kurosawa offers “non-participation”. Sanjuro is an outsider by moral reasons. This status (under-status) “of not belonging” colors his personality as a moral alternative to those who while being horrified by the cruelty of the system are doomed to participate in its everyday rituals because they share many of its conventions and prejudices. The intensity of “Yojimbo’s” critical energies joins the elaborateness of its analysis of today’s formal democracy’s vices and sins hidden under the beautiful make-up of its proudly humane ideological pronouncements. “Yojimbo” is full of wit and humor, but also of human emotions, suffering and joy, and real problems everybody can relate to. Please, visit: http://www.actingoutpolitics.com to read essay about “Yojimbo” (with analysis of stills from the film), and articles about Kurosawa’s other films and the films by Godard, Resnais, Bergman, Bunuel, Bresson, Pasolini, Antonioni, Cavani, Bertolucci, Fassbinder, Alain Tanner, Herzog, Wim Wenders, Jerzy Skolimowski, Rossellini, Maurice Pialat, Moshe Mizrahi and Ronald Neame.